Our primary product line covers many items that are printed on paper available in many thicknesses grades and finishes. Printed material offers a sensory experience that cannot be replaced electronically, and that is why custom business card printing remains popular. We recommend you take care in choosing paper stock and finishing options to create a professional business brand that reflect your corporate identity. Paper stocks range from coated sheets with gloss and silk finishes to uncoated sheets with smooth, linen and laid finishes. Also available is the Enviro line of uncoated stock made from 100% recycled paper offering eco-friendly alternative. 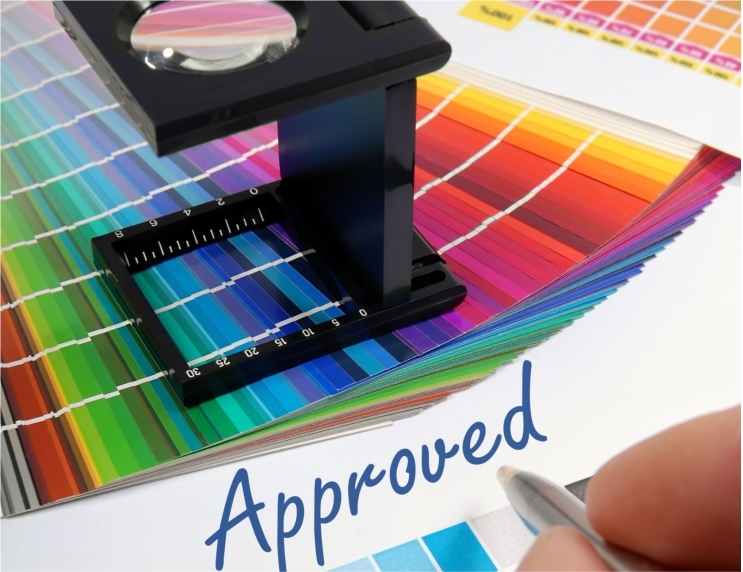 Also, we print using PANTONE® Licensed Printing Inks. In order to ensure colour accuracy we only use the current edition of the PANTONE Colour standards. For more Pantone® colour information please visit www.pantone.com. Envelopes that carry official business documents are typically printed with a corporate logo and return address or any other graphics required. A Flyer is a single-page leaflet often used to promote businesses, products, services and events. An effective marketing tool, business Flyers help execute small and large scale communications. With a great design, custom Flyers are a powerful medium to convey your client’s marketing message. A Business Card are a great networking and contact tool that is able to convey professionalism. It is a tried and true way to leave a good first impression. We offer a wide variety of finishes and stock, from Matte to High Gloss and everything in-between. Postcards are a powerful and cost-effective marketing tool. They are versatile and can be used for a multitude of purposes such as direct mail campaigns. We offer wholesale Postcards in many sizes, finishes and stocks to really stand out among the crowd. Brochures are flyers that are folded to a compact size, allowing you to include more information and Booklets are multi-page bound documents such as product guides and magazines or catalogues. Labels, Stickers and Decals offer a high-impact solution for most attention catching requirements with complete design freedom. With our equipment no dies are required for most common shapes and sizes which saves time and money. Multi part NCR forms are great for invoices, purchase orders, receipts, work orders and many more. Writing on the first sheet transfers over to the subsequent sheets in the form saving time and accuracy. Notepads with removable pages are convenient for mobile writing requirements. Available with 20, 25, 50, 75 or 100 printed sheets glued to 14pt backing board and in a wide variety of different sizes.